via Special Rapporteur on violence against women, its causes and consequences. Recently, the head of the Australian Securities and Investments Commission, Greg Medcraft, called Australia a “paradise” for white-collar criminals. Soon after he recanted, claiming he didn’t want the country to become a haven for financial fraudsters. This rephrasing likely followed when Finance Minister Mathias Cormann leaned on Medcraft.The mass media has done an admirable job bringing the CBA financial planner scandal to light, forcing ASIC to finally investigate, the Senate to inquire and the CBA to apologise and provide compensation. Despite this, frauds like these are universally downplayed as isolated events, perpetrated by “bad apples” in an otherwise trustworthy FIRE finance, insurance and real estate sector.Australia’s economic history shows otherwise. Our past is littered with a surprisingly large number of control frauds, which government and regulators have done next to nothing to prevent and rarely prosecute. The mounting frauds appear emboldened by deregulation and liberalisation of banking and finance. via Do the crime, do the time? Not if youre a banker in Australia. A common misconception is that making students pay will increase the amount of funding for education. More often than not, public funding decreases in systems with tuition fees and, for quite a few countries, substantially. Nor does the money collected from fees go towards improving the quality of teaching. In many cases it goes towards funding activities and projects aiming at increasing a university’s prestige and reputation so that it can get ahead in the international rankings that we know do not give us an accurate picture of educational quality. via Fees debate obscures purpose of higher education – University World News. Solar will be the world’s biggest single source of electricity by 2050, according to a recent estimate by the International Energy Agency. Currently, it’s responsible for just a fraction of one percent. via While You Were Getting Worked Up Over Oil Prices, This Just Happened to Solar – Bloomberg. “Gary’s work is recognized across Canada and he worked along with Truth and Reconciliation Commission hearings across the nation. Media, Edmonton Police Services and the community of Edmonton have recognized Gary as an elder, teacher and healer. Gary Moostoos has dedicated his life to assisting and supporting indigenous peoples who are in need. Gary’s commitment to helping people started over a quarter century ago. He worked in a hospital supporting people whom were sick, then as a youth worker for many years he assisted youngsters in connecting with cultural practices and spiritual teachings. 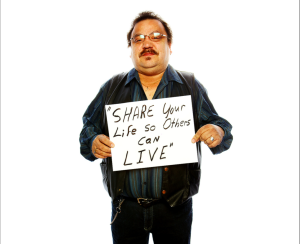 Gary currently is employed as he works with homeless populations and survivors of the residential school system. First, I want to introduce you to my teacher and brother Gary Moostoos. Before I tell you about the incident that screams discrimination against Gary Moostoos on behalf of OXFORD Properties Group Inc., I want to offer you a quick bio about myself, which will make more sense by time you get to the end of this article. The story of the past week in terms of the Trans Pacific Partnership TPP agreement was not Prime Minister John Keys visit to the White House.The more startling news is that our Government, with almost 50 other countries, is negotiating another secret deal in the shadows of the World Trade Organisation. They are calling to negotiate a Trade in Services Agreement Tisa.It is part of a troika: along with the TPP and the deal the US is negotiating with the European Union, it aims to create a new set of global rules that are designed exclusively to serve commercial interests.This is no exaggeration. Last week US corporates held a launch for what they call Team Tisa. The co-chairs are Citigroup, Liberty Mutual, IBM, MetLife, UPS and Walmart. Leading members of Congress and the US Trade Representative were invited to speak.If we thought the TPP was secretive – background documents remain secret for four years after any deal is done – Tisa proponents want to keep their documents secret for five years.They aim to create an unrestricted global market for services, just as TPP is aimed at the Asia-Pacific. That means locking open the door to foreign corporations that dominate the worlds media, IT, finance, tourism, transport, healthcare, education sectors and more.They also want to make light-handed regulation the global norm. A standstill rule aims to freeze the existing level of regulation as the new bottom line.What Wikileaks posted was the draft chapter on financial services. We can assume it will be very similar to the TPPs financial services chapter.This is especially scary, because it aims to extend the model of liberalised and deregulated financial markets that brought us the global financial crisis. via Jane Kelsey: Secret talks bring threat of financial crises – National – NZ Herald News. … Morales’ election heralded much more than the arrival of the first indigenous person to the presidential palace. It marked the onset of a political revolution that has gradually seen Bolivia’s old political elites dislodged from power and replaced by representatives from the country’s indigenous peoples and popular classes.For this majority, the MAS government represents a safeguard against a return to the Bolivia of yesteryear, run by corrupt white elites. More than that, for most indigenous people and social movements, the MAS government is “their” government.This does not mean that the people have handed the MAS a blank cheque. Already on several occasions the MAS government has been forced to back-down on certain policies due to popular pressure.However, none of these protests have posed a fundamental challenge to the MAS’ overall vision for Bolivia, precisely because this vision is largely informed by the struggles and demands of the people themselves.Instead, these conflicts have primarily been disputes over how best to make this vision a reality.The MAS response to date has been to follow an approach of seeking dialogue and consensus, retreating where necessary, but always attempting to continue to drive the process forward towards its goal.Morales constantly sums up this approach using the Zapatista slogan “to govern by obeying”.It was this approach that enabled the MAS to come into the elections with the backing of the country’s main indigenous, campesino, workers and urban poor organisations and ensured its thumping victory.The failure of opposition forces and critics to recognise or accept the fact that a political revolution that has taken place and important economic transformations are underway explain why they are so far out of touch with the majority of Bolivian society. via Evo Morales’ victory demonstrates how much Bolivia has changed | Links International Journal of Socialist Renewal. The Courage to Speak Up. The fossil-fuel divestment movement has been on a roll lately to the tune of $50 billion, but one of its biggest successes happened last month: The world’s most profitable oil company squirmed. ExxonMobil’s vice president of public and government affairs published a critique of divestment that concluded by saying that destroying our planet’s climate by recklessly extracting and burning fossil fuel reserves is necessary to relieve global poverty. via Exxon: Destroying Planet Necessary to Relieve Global Poverty » EcoWatch. New research on equity and human rights informed the ADP Intercessional in Bonn – October 2014The October session of the Ad Hoc Working Group on the Durban Platform for Enhanced Action, taking place in Bonn from 20-25th of October, is informing and shaping the draft text of a new climate agreement which is expected to be the key outcome from COP 20 in Lima and is a milestone to the final agreement at COP21 in Paris. The Mary Robinson Foundation – Climate Justice, used this opportunity to convene a group of 23 senior negotiators representing a range of regional groups on the evening of the 23rd October to present new climate justice research.Tara Shine, Head of Research and Development at the Foundation presented the key findings from the Foundation’s latest research on human rights and climate change and the equity dimensions of a carbon phase-out. Participants discussed how these considerations could inform the draft text for Lima/ COP20.The recommendations in the Foundation’s research are supported by two recent proposals, an open letter from 28 UN independent human rights experts to all Governments; and the International Bar Associations’ recently published task force report on “Achieving Justice and Human Rights in an Era of Climate Disruption”. via Informing Climate Negotiators about emerging Climate Justice Research – News.